Join Mickey Mouse and Minnie Mouse as they venture through a treasure-filled journey bound for heart-warming adventure. Featuring more than 50 Disney characters, this production includes the box office smash hits Disney Pixar’s Finding Dory and Disney’s Frozen. For the first time ever in Cardiff discover the true meaning of family with everyone’s favourite forgetful fish, Dory, as she searches the deep blue sea for her parents with a little help from Marlin and Nemo in Finding Dory. 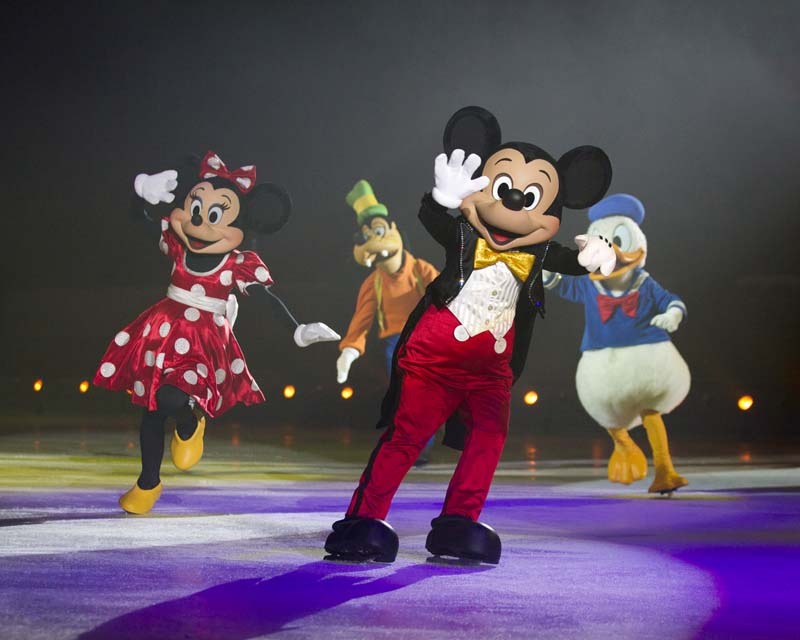 The Wonderful World of Disney On Ice comes to Cardiff Motorpoint Arena from 24th – 28th April 2019. Feel the rush of the stampede as Simba learns to live by the motto of “Hakuna Matata” from the wise-cracking meerkat Timon and his warthog pal Pumbaa. March alongside the seven dwarfs, as they whistle off to work to the catchy tune of “Heigh-Ho.” Be dazzled by the hilarious Genie, as he makes Aladdin’s wishes come true with a spectacular parade for Prince Ali. Watch as the ice transforms into the wintry world of Frozen during Elsa’s emotionally powerful performance of “Let It Go.” Plus, learn the Mouse Bounce dance during the Fit to Dance pre-show. Make unforgettable memories as you explore The Wonderful World of Disney On Ice!